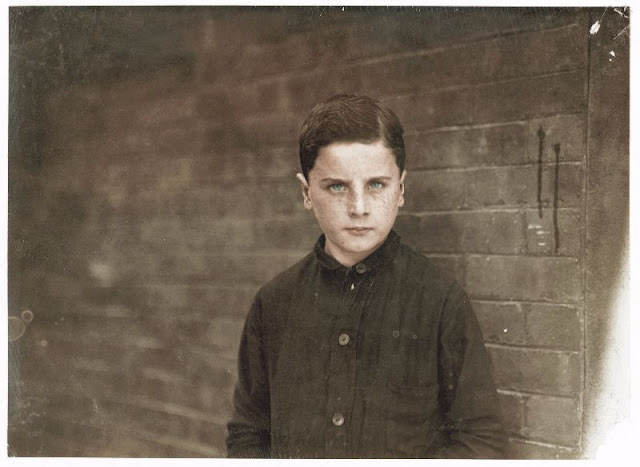 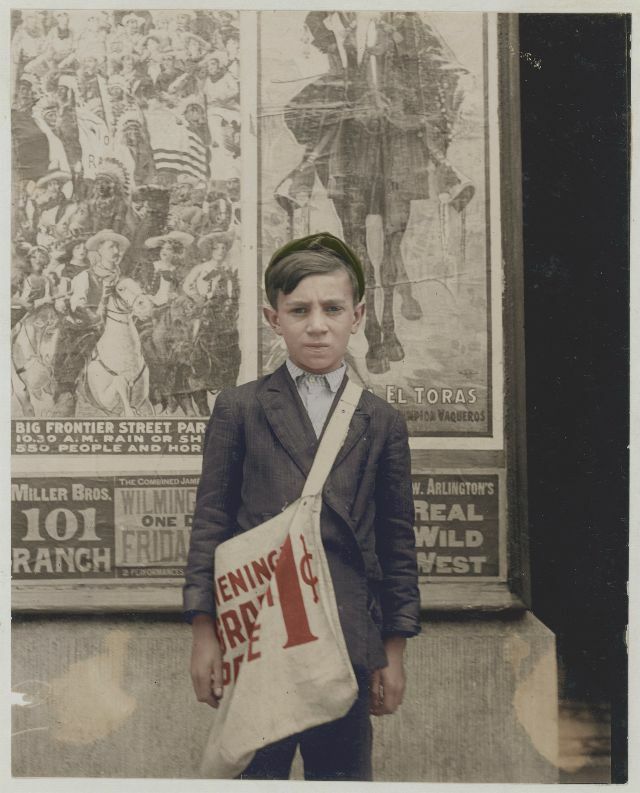 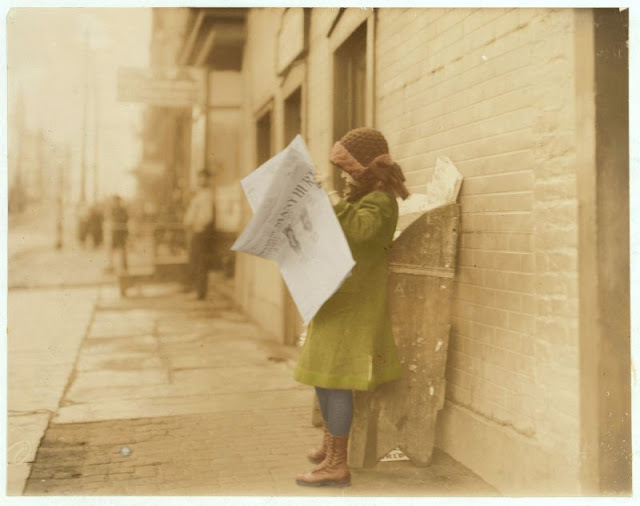 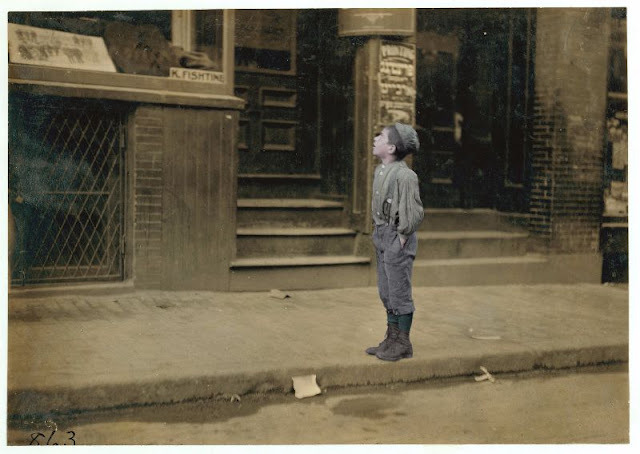 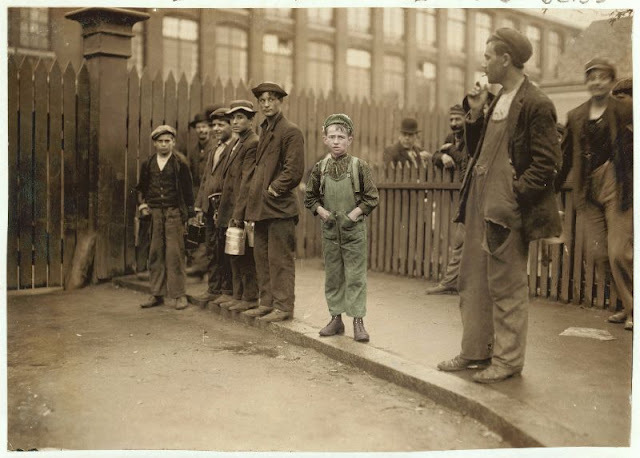 Lewis Wickes Hine (1874-1940) was an American sociologist and photographer who used his camera as a tool for social reform. 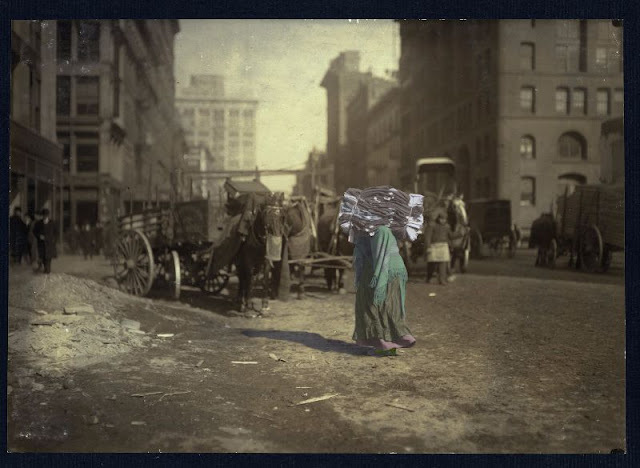 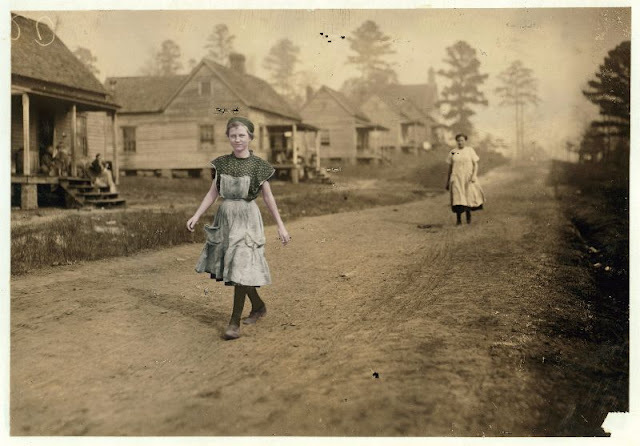 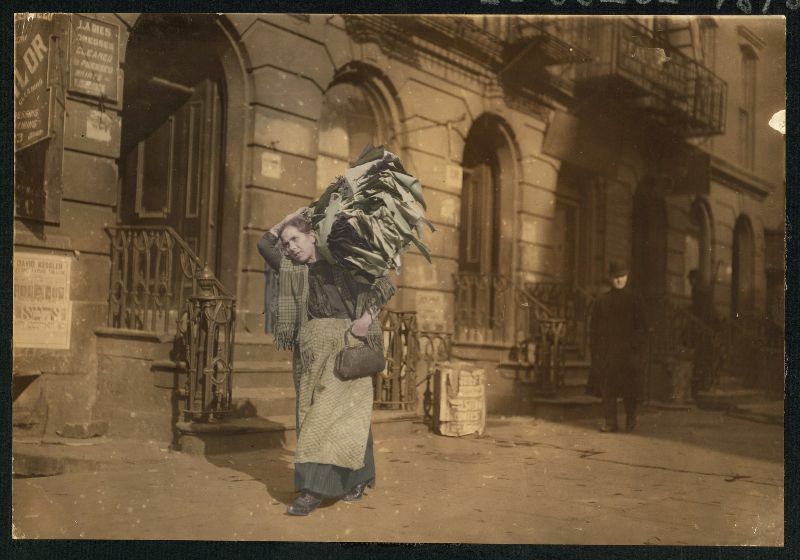 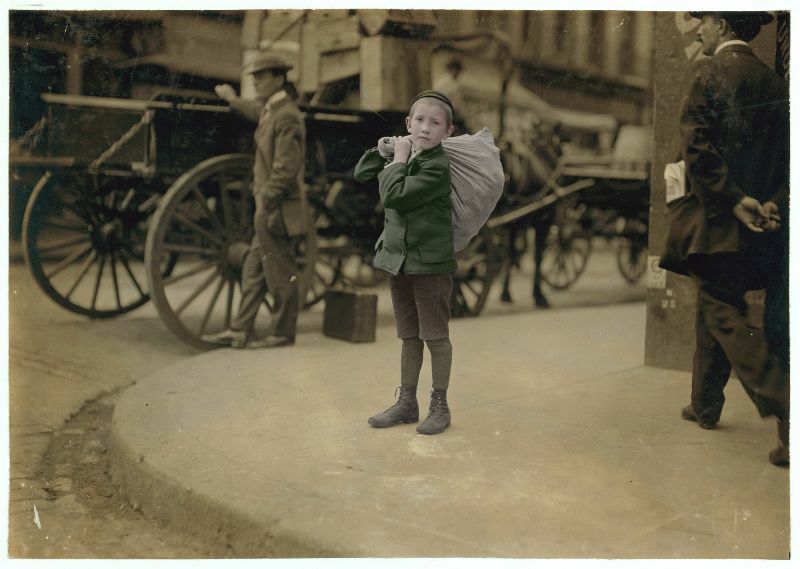 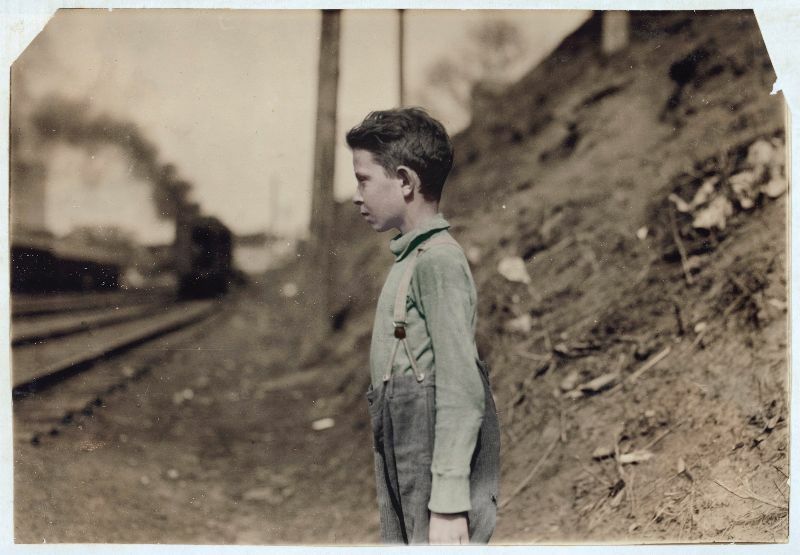 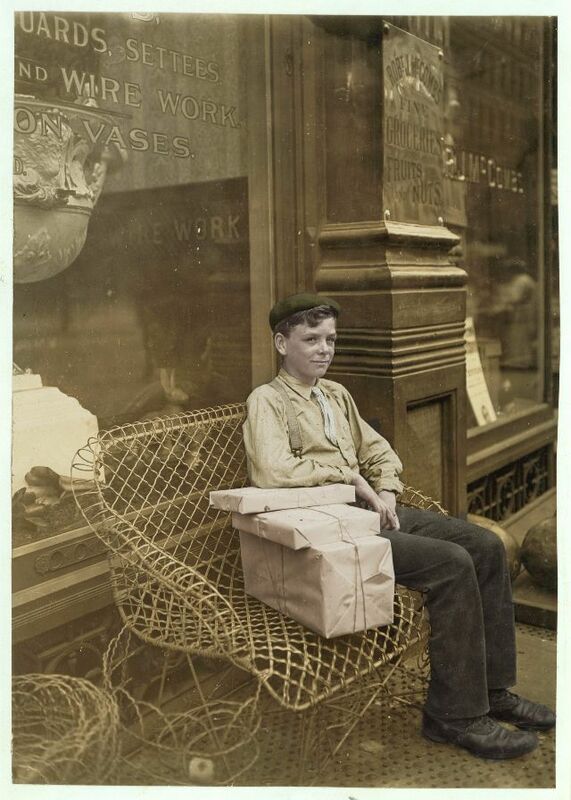 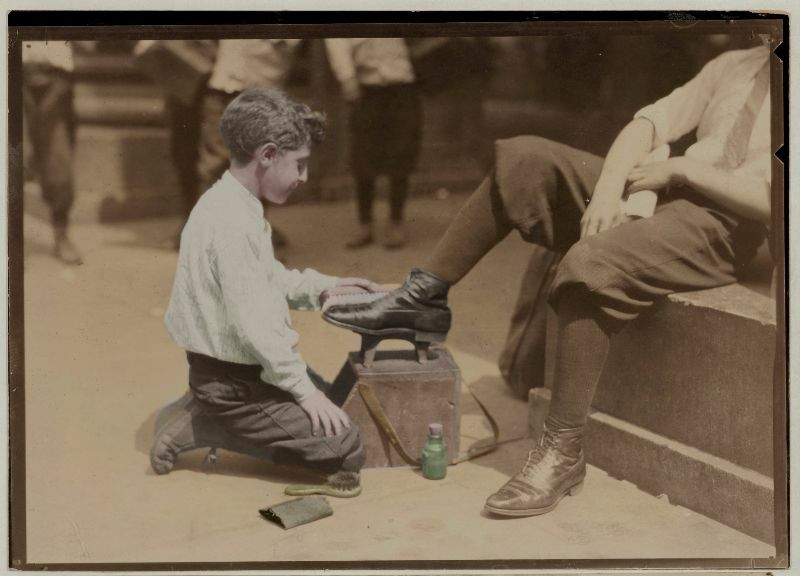 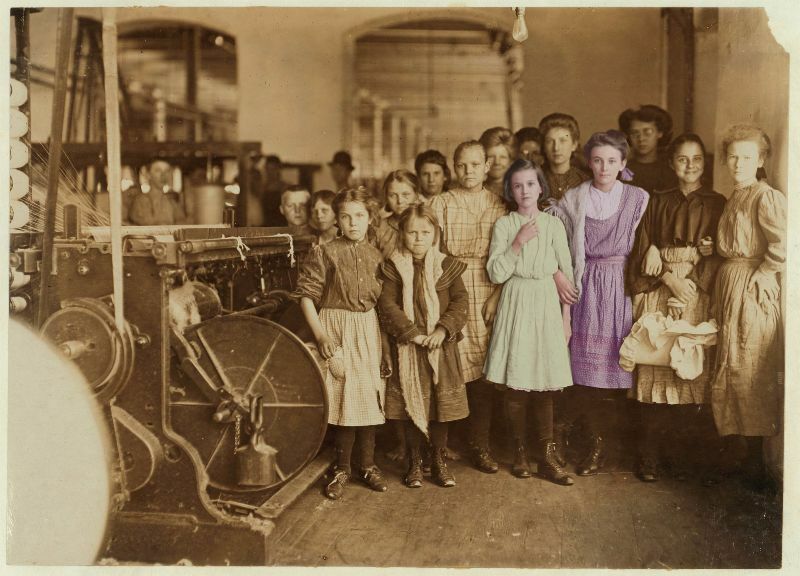 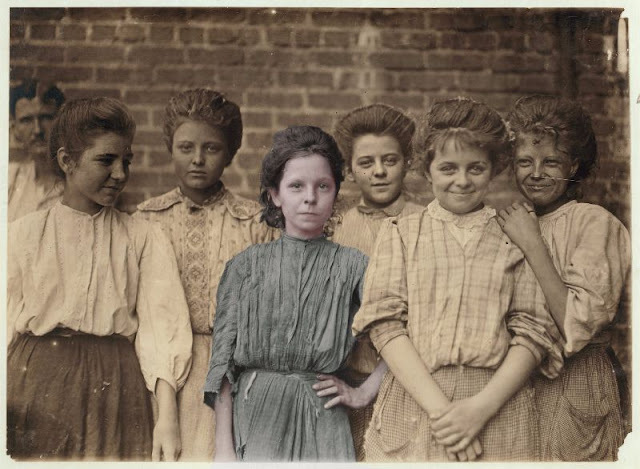 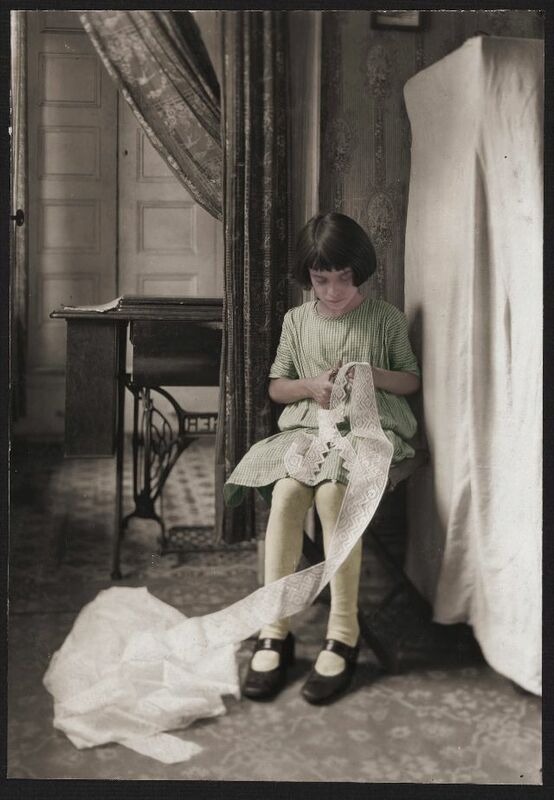 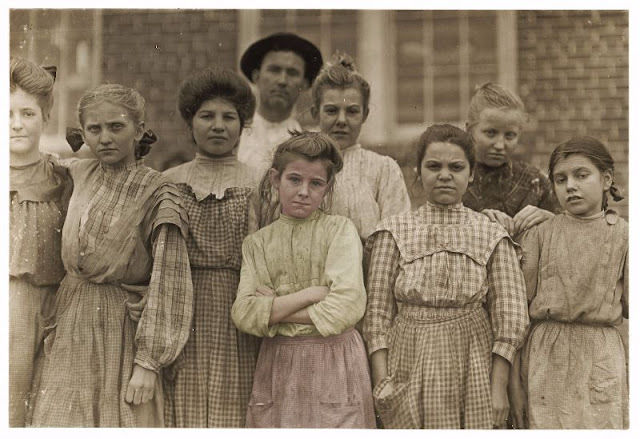 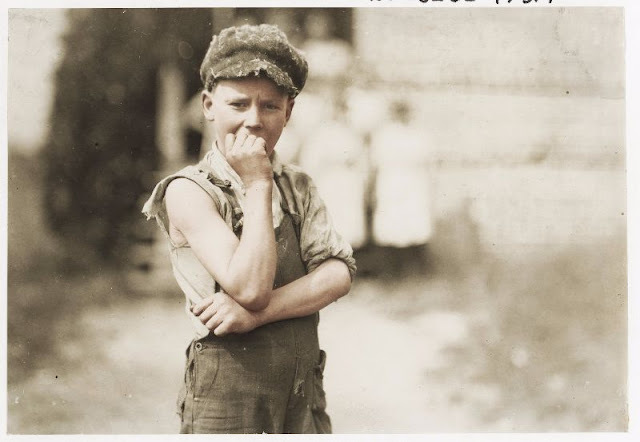 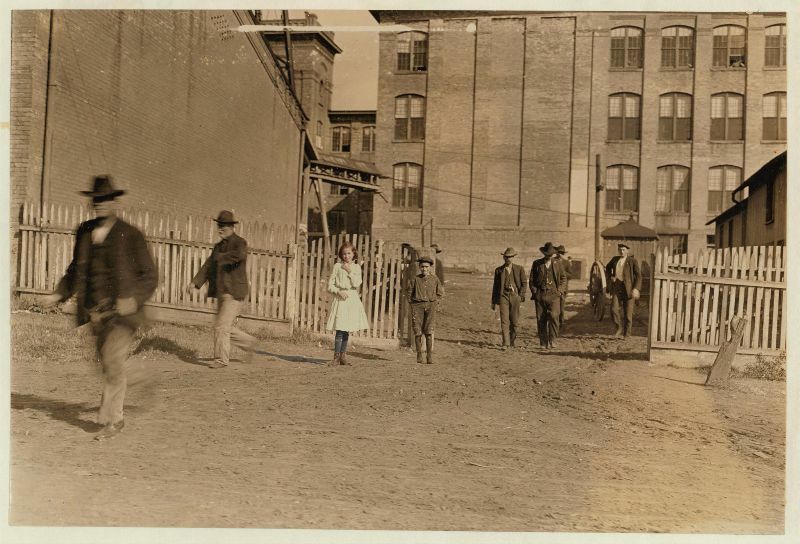 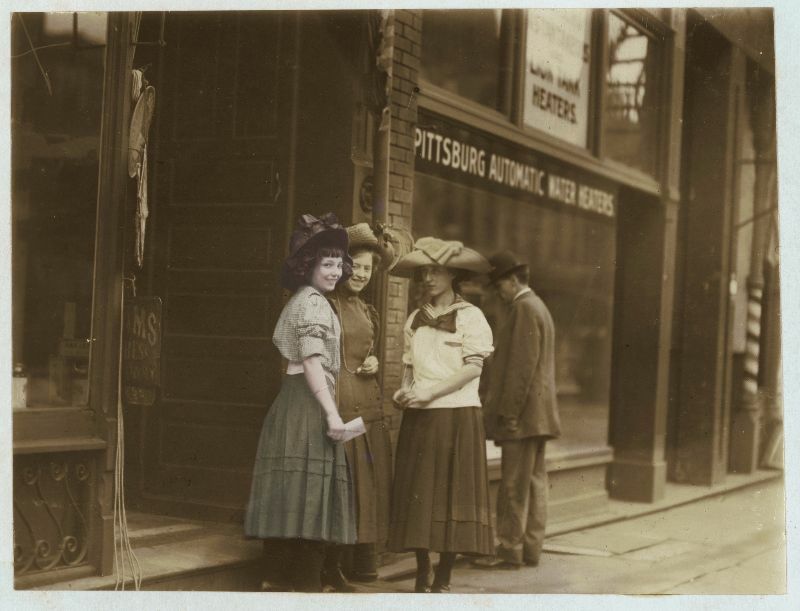 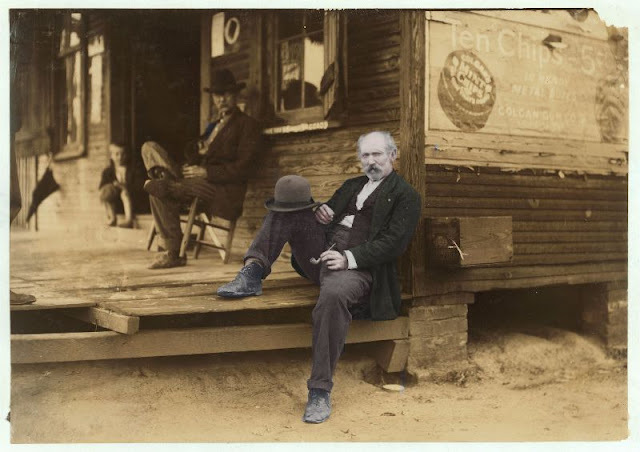 His photographs were instrumental in changing child labor laws in the United States. 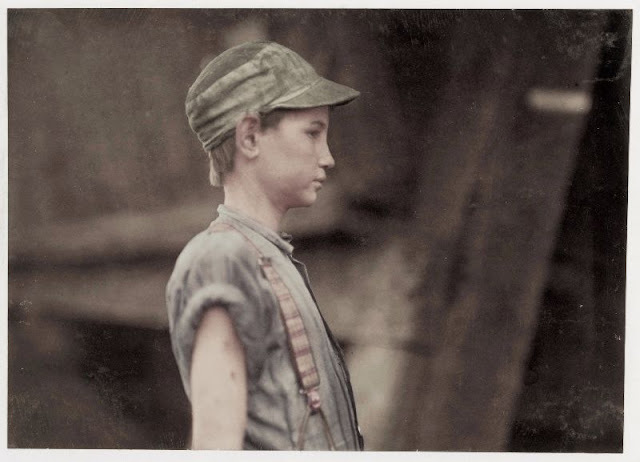 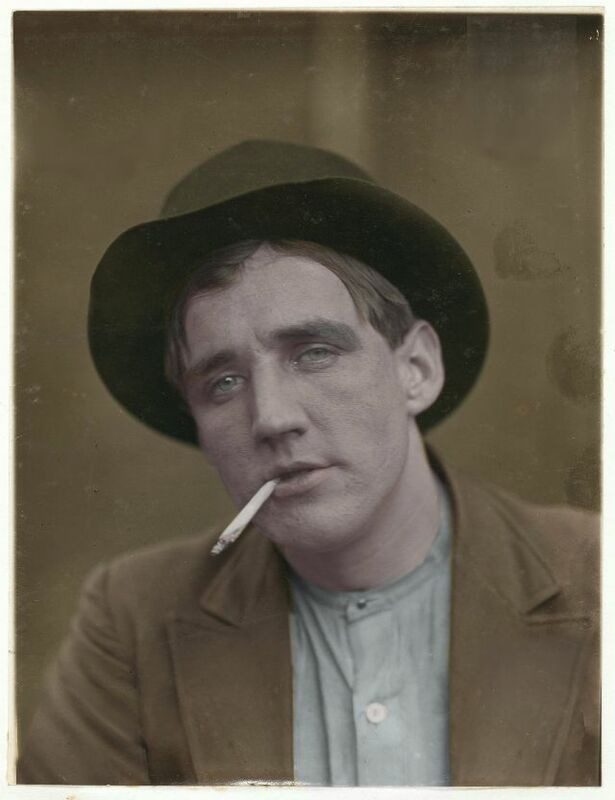 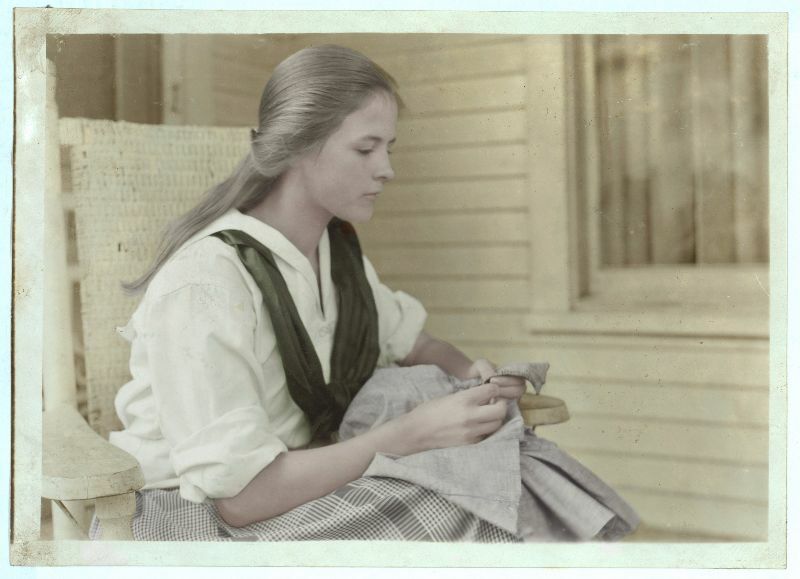 These incredible photographs he shot that were colorized by Rob van den Berg showing the daily life laborers in the United States from between the 1900s and 1920s. Workers in the Nokomis Cotton Mill, Lexington, North Carolina. The smallest boy said he was 11 years old and makes 50 cents a day. 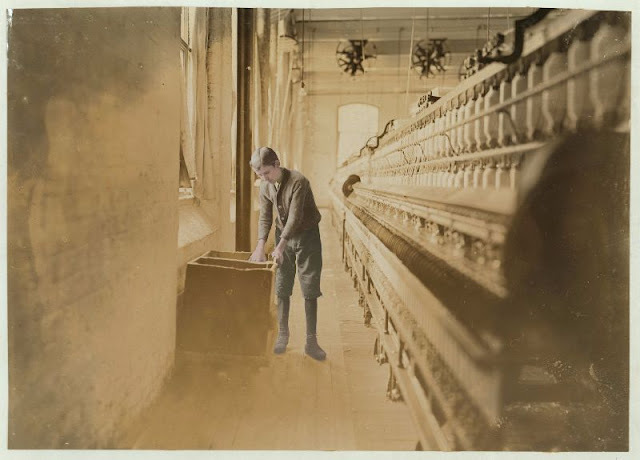 Been doffing there for some months. 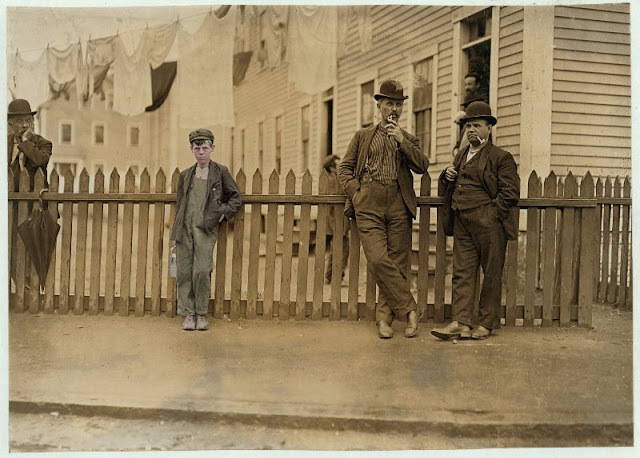 The band boy who seems much younger would not be photographed.